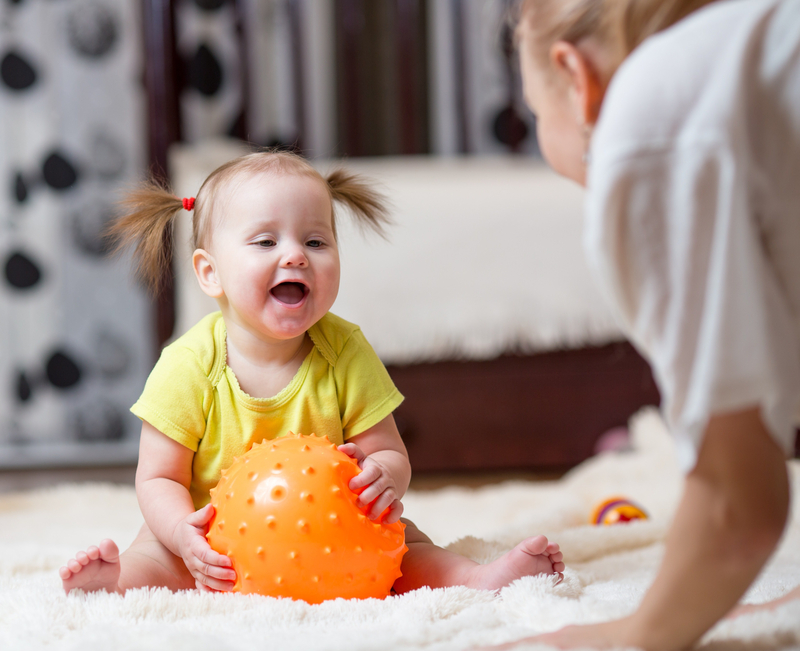 Playing with a ball with your baby or toddler helps her to practice many important skills. A simple beach ball or soft plush ball works well for this activity. Sit across from her and play a rolling catch game. By rolling the ball back and forth, your very young child starts to develop an understanding of the back and forth and the turn taking that is important in language development and socializing. Engaging in conversation requires the ability to wait for and take a turn which mimics the game of catch. This turn taking is also the beginning of sharing (a social skill that emerges after the age of 3). Rolling the ball toward someone and receiving it back from that person while having fun is an experience akin to the give and take of a rewarding dialogue. Just like bath time and bed time, uninterrupted playtime with Mommy or Daddy should be an important part of your daily routine. It can be as short as 15 or 20 minutes a day. Turn off your devices and let your child choose and lead the play sequence. Your role is to embrace his ideas, follow and join her, and then build on what she makes up. Choose games and activities that are fun and pleasurable for both you and your child. Authentic pleasure in a parent-child relationship leads to a secure attachment. Try this and you may find that your child is more flexible, attentive and has an easier time with more stressful parts of the day. Spring is here, allowing you and your child to get outside and spend time in your neighborhood playground. It can be fun for your child to meet up with friends and neighbors in the park, but it can also be stressful to share this common play space. 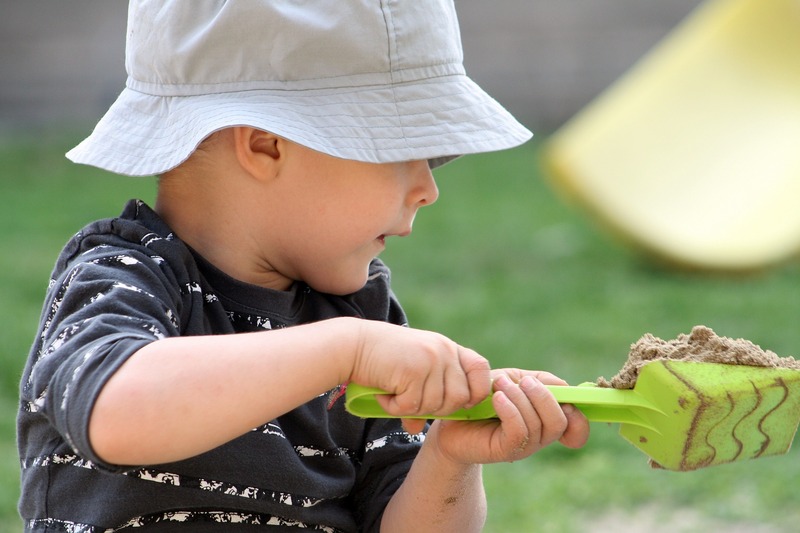 Toddlers and preschoolers often need help playing together in the sandbox because it requires turn taking, impulse control and sharing. These are all skills that are challenging at this stage of development and your child will need some help from you to navigate the sandbox. Bring more than one toy so that your child can use one and give another child a turn. Do not bring your child’s favorite toy as this will be very difficult to share. Stay close to your child to intervene if there is an issue with taking turns. Model and teach your child how to ask for a toy. Visit the sandbox during less busy hours to allow your child the room to explore and play with her own toys and ideas.